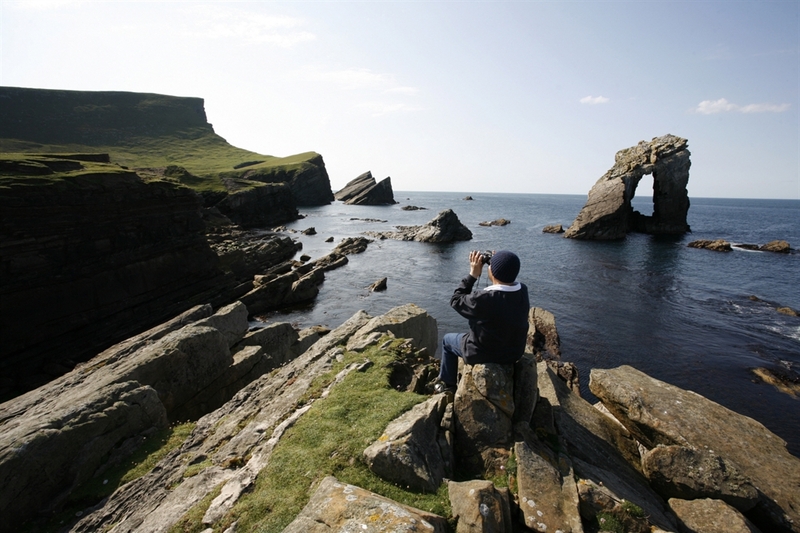 From exploring an extinct volcano to walking across shifting sands, experience the variety of geology in Geopark Shetland. 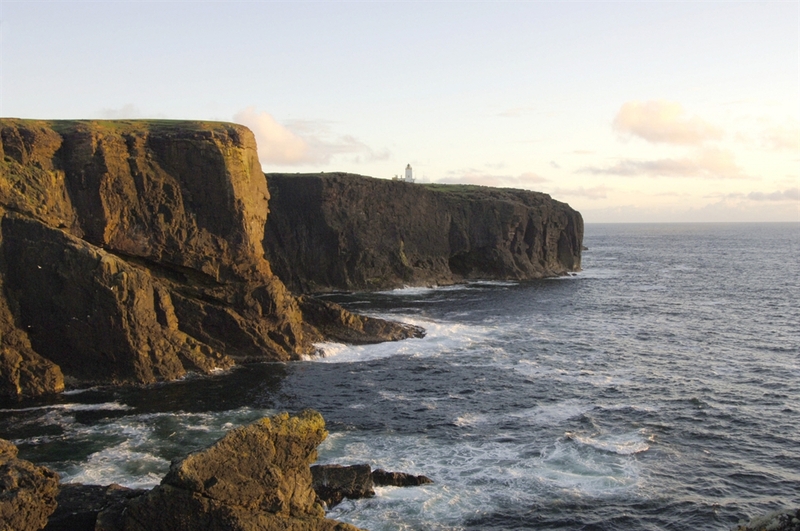 From the highest sheer cliffs in Britain to the best ‘hands on’ exposure of the Great Glen Fault, Shetland is packed with an incredibly varied geology spanning almost 3 billion years. Where else can you walk on an ancient ocean floor, explore an extinct volcano and stroll across shifting sands all in the space of a day? Shetland displays the most amazing diversity of geology in an area its size anywhere. The astonishing variety of rocks tell an amazing tale, not just about Shetland, but how the world itself has formed and changed. Epic events like oceans opening and closing and the formation and erosion of mountains, are written into the geological record of these islands and you don’t have to be an expert to see them. 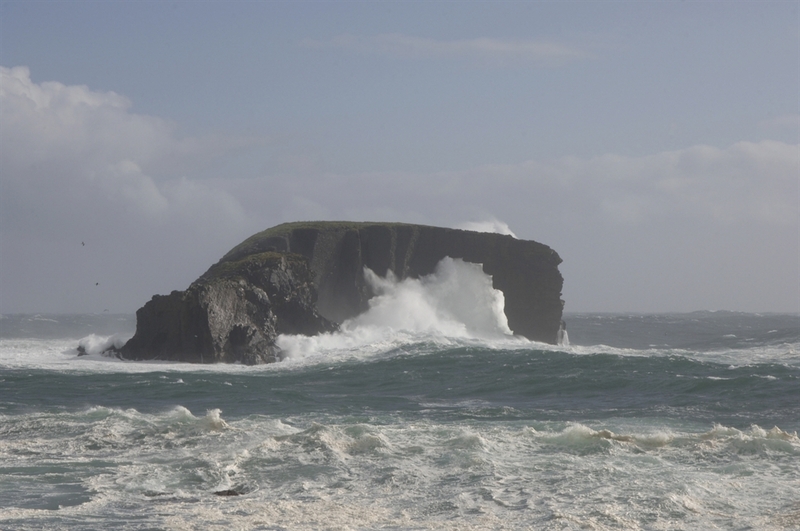 Shetland has been on an incredible geological journey, from close to the South Pole across the equator to its current position at the crossroads of the North Atlantic. Over hundreds of millions of years the climate and landscape have changed dramatically many times and echoes of these past environments have been literally set in stone. Who would have thought that this tiny windswept archipelago in the North Sea has played host to tropical seas, volcanoes, deserts, ice ages and ancient rivers? The Shetland of today is home to an amazing biodiversity. Seals, otters and sometimes even Killer Whales can be spotted in the surrounding waters. Over one million seabirds inhabit the cliffs and moorland, with 70 different species breeding in the isles and over 430 migratory species recorded. Many nest on the spectacular sea cliffs, such as those at Noss where erosion of the Old Red Sandstone cliffs has created stone ledges that make ideal nesting sites for a large Gannet population. Shetland’s moorland is predominantly blanket bog, a globally rare habitat. The moorland provides breeding grounds for Great and Arctic Skuas, Snipe, Whimbrel, Dunlin, Golden Plover, and Red-throated Divers. Several endemic species have evolved in Shetland, despite the fact it has only been separated from the rest of the UK for around 12,000 years. These include two island races of Wren, several races of Field Mouse and a subspecies of bumblebee. It is not only plant and animal life that is influenced by geology. It has been fundamental to the development of many aspects of human life in the isles from settlement patterns and building techniques to industries both on and offshore. Due to the lack of trees and abundance of stone, Shetland has some of the best-preserved archaeology in Europe. In addition, aspects of the landscape have been so instrumental to man that Shetland place names often reflect these geological features. Shetland’s rocks and landscape are striking, but a little interpretation reveals the fascinating stories behind them. You can start your Geological Journey at the Museum and Archives in Lerwick, where displays tell the story of Shetland’s formation and demonstrate the fundamental links between geology and the natural and cultural heritage of the islands. Then get out and enjoy it for yourself with a range of trails, exhibits, events, guided tours and the Geopark Shetland app for Android and iPhone.